For today, all I want you to do is choose a time of year that you want to visit Zion. 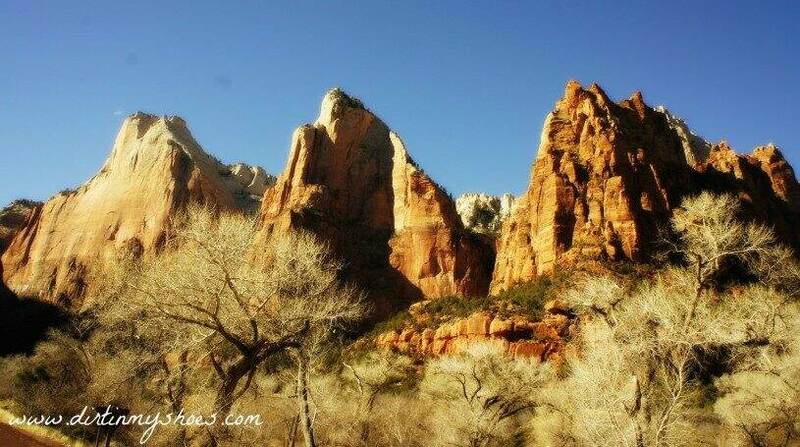 If you’re looking for a quiet and enchanting trip to Zion, you may want consider a winter visit! Visiting during the winter months is a great way to see the park in a way that most people never do. So, what’s so great about Zion in winter? The biggest advantage is the lack of those notorious crowds that completely take over the park during the other seasons of the year. You’ll also beat the summer heat! The downside? You may not be able to access a few of the park’s most famous trails. The Narrows is usually closed (and the water is freezing cold!) during these months. Angels Landing can also close due to snow and ice. 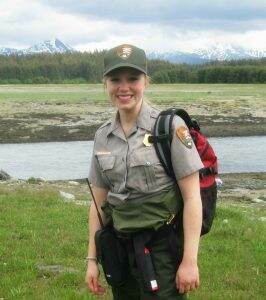 If you decide to visit the park in the winter, you may encounter trail closures at any time. Zion does get snow during the winter months, but it often melts within a few hours in the lower elevations. In the higher elevations, the snow may accumulate and cause temporary trail closures. Winter temperatures in Zion usually hover around 50 degrees or so during the day and can dip below freezing at night. Most facilities within the park are open year round, but many have limited hours. You can drive the Zion Canyon road in your own vehicle during these months. The shuttle is not running at this time so you are not required to take it! The winter months bring the most precipitation to the area and the river levels can be quite high. 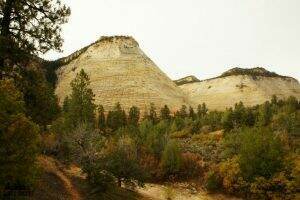 Just be aware of the possibility of rock slides and flash floods as you travel through the park. In my opinion, early springtime in Zion is truly fabulous….it is actually one of my very favorite times to be in the park. A few highlights you can expect during a spring visit include comfortable temperatures, sunny skies, and wildflowers! The Narrows will likely still be closed during this time because of high water levels in the river. Everything else should be open and ready to be explored! Crowding within Zion begins to pick up during these months. Expect plenty of people in the park….it’s an extremely popular place to be when school is out for Spring Break! 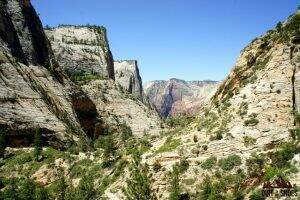 A trip during the spring will require the use of the free park shuttle to access Zion Canyon. Spring weather in Zion can be unpredictable. Be prepared for a range of weather conditions, but mostly be ready for some rain and cooler temperatures in the morning and evening hours. 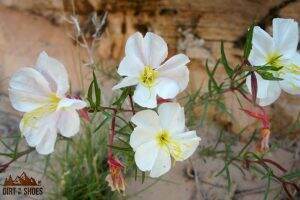 The wildflowers during the spring are stunning and can be found along many of the park’s most popular trails! The great thing about Zion during the summer is that everything is open! You’ll have numerous lodging and dining options, plus access to all of the main points of interest, tours, programs, and visitor centers. Your options are endless during the summer, but that comes with a price….crowds. Be prepared to share the amazing sights of Zion with people from all over the world during the popular summer season. As mentioned above, the crowd level during the summer is high. This will impact your trip in some way, as you will likely not be able to get places as quickly as you’d like or enjoy the sights without distraction. Use of the free Zion Canyon Shuttle is required during this time. 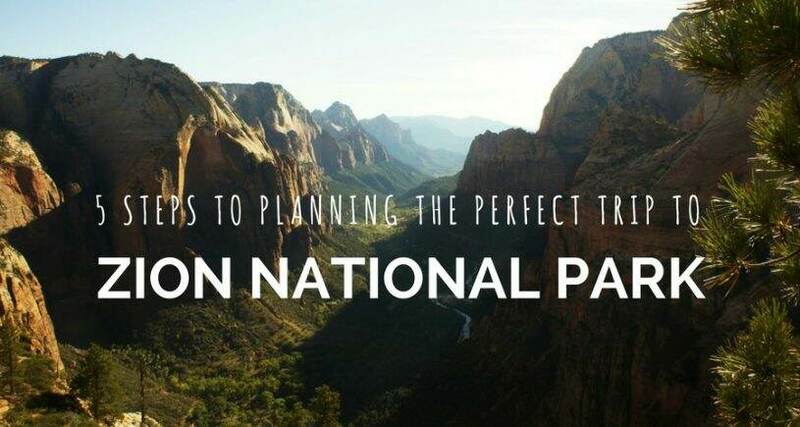 To better avoid the crowds and traffic jams common to Zion during the summer, you’ll definitely want to have a solid plan, like this detailed itinerary! Having a plan will minimize wasted time and make your trip much more enjoyable. Summer temperatures are hot hot hot in Zion. It’s not uncommon to experience 100+ degree days during a summer visit to the area. Rain during the summer months contribute to an increased risk of flash floods. This should not be taken lightly…check the weather/ask a ranger if you plan on hiking in an area prone to flooding. A sense of solitude begins to fall over the Zion landscape as the busy summer crowds start to die off. A slight chill fills the air…and it’s absolutely magical! Autumn in Zion is fabulous, especially after Labor Day weekend. A few highlights of a trip during this season include fall colors, crisp temperatures, and a little more elbow room to enjoy the sights. Don’t expect the crowds to completely die down during the fall months. You’ll still share the trails with a substantial amount of people during this time. If you really have your heart set on hiking the Narrows, this is the best time to do it! Autumn weather in Zion is extremely pleasant and perfect for hiking and exploring. Use of the free Zion Canyon shuttle is required during this time. Temperatures aren’t scorching hot during these months, and the mornings and evenings may even feel a little cool. Well there you have it! I know….it’s a lot of information about the seasons of Zion. But now you’re ready to make a decision. Let’s complete Step One. Decide today what season is going to be best for your trip to Zion and write it down! You’ll want to have the decision made before moving on to Step Two tomorrow. Talk to you then!